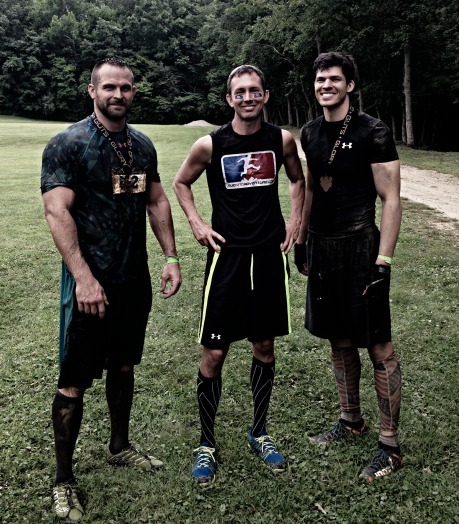 Mud Guts and Glory delivers again! I love watermelon. I love my family. I love Kentucky basketball. I love Mud Guts & Glory. I have yet to encounter another race in which the passion for the event is in the heart and soul of everyone involved. From management to the race director to the construction crews to the race staff to the volunteers, everyone associated with Mud Guts & Glory is dedicated to providing racers the best experience possible. Their fourth race this weekend was just a continuation of the good things that have been going on with that organization. This article will only focus on the new aspects of the event because you can read about the terrain and obstacles at past reviews here and here and here. Not only did this race introduce a new wire traverse obstacle and .3 mile of climbing and descending a rock and log strewn ravine, but it also introduced a new challenger to reigning champion, Junyong Pak. Macharia Yuot, in only his 2nd obstacle race, made vast improvements since May and finished a mere 41 seconds behind Pak. “Mooch”, one of the lost boys of Sudan, is a 2:15 marathoner and used his tremendous running ability to overcome his deficits on the obstacles. Pak said afterwards that Mooch had him “running for his life”. 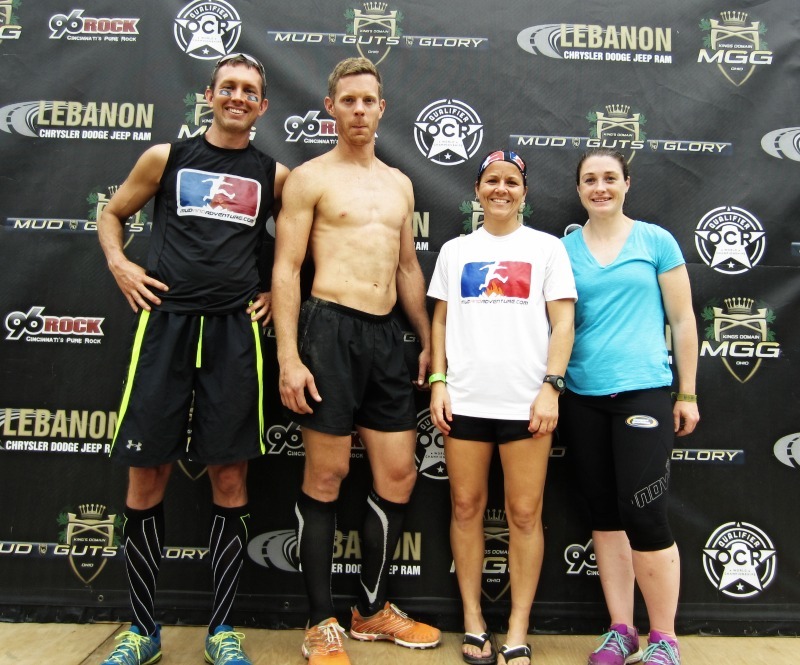 On the women’s side, OCR newcomer sensation, Corinna Coffin, captured the top female spot. The OnMyWayToSparta.com brought home the second fastest team award using the times of Chris Schapman, me, Tonya Stodsgill, and Margaret Schlachter. There were a few subtle changes on the course that were barely noticeable, but continued the progression toward absolute greatness. One not so subtle change, was that MGG paid cash prizes to the top TEN males and females….meaning 20 individuals took home checks. More and more elite racers across the country are showing up to give this course a chance and none of them have left disappointed. The spectator area, appropriately named “Glory Village”, continues to improve with more vendors and events to keep people entertained throughout the day (and without a spectator fee mind you). Tug-of-war contests, tire flipping contests, and obstacle relay races through the Gauntlet are very popular for both athletes and spectators alike. A new addition this weekend was what I called the Frisbee pit contest…a muddy twist on the game of musical chairs. 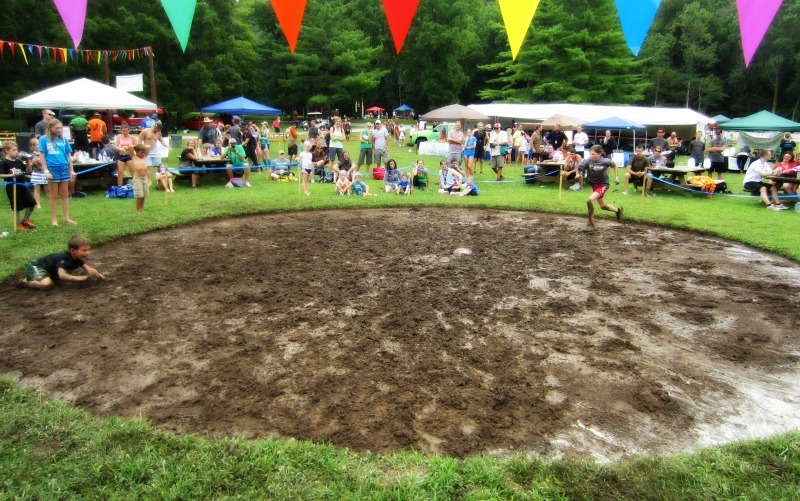 Imagine a circular mud pit with a diameter of about 20 feet. Now imagine 15 or so kids lined up outside the pit, racing to the center when cued to grab an available Frisbee (1 less Frisbee than there were kids). This continued until there was only 1 kid left standing….and that kid was my daughter. It’s my post, so I give myself the latitude to be a proud dad! 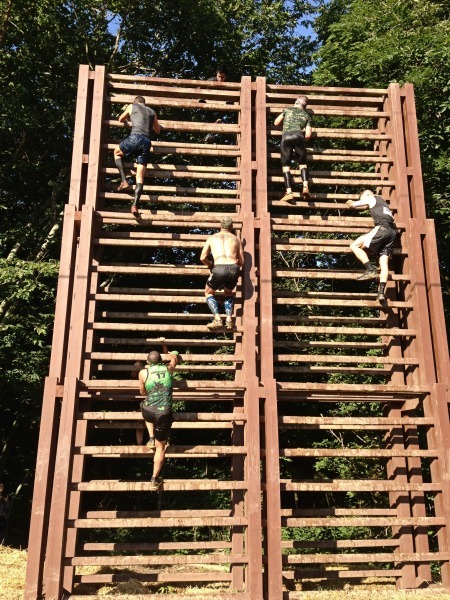 I’ll leave you with a collection of phrases that I heard being used to describe the August 2014 Mud Guts and Glory race. Sign up for their next race and you can add your own description.